3kW ain't too shabby out of that little thing. Personally I think it's a little scary. 12.5A out of 16 gauge wire is right on the hairy edge. NEC Table 400.5(A)(1) indicates a max of 13A for 16 ga. flexible cord. If they had used 14 ga. it would almost be worth a little over $100 it would cost to gut the EVSE and replace the innards with Open EVSE and up the current to 16A (3.84kW). Personally I would want a little extra overhead for when the cord has some wear and tear and may not be able to carry that full capacity safely anymore. Ah breadboards, they always get me into trouble. For what it's worth after charging for hours on my 240v setup the cords & EVSE weren't even remotely warm. Granted it was probably 20° in my garage at the time, but if there was a problem it would have heated up. 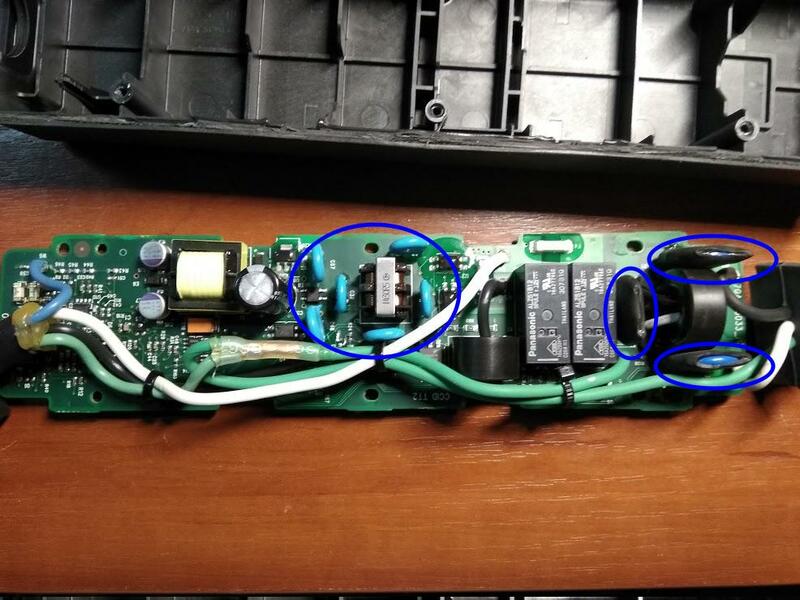 Replacing capacitors is also needed! I use translator. Sorry for the mistakes. what is the nF(or uF or pF) rating of the capacitors? Just and update on this. I am fairly certain the convenience cords subject to the safety recall (lack the thermistor in the plug) are those with part# ending in AF and earlier. I'm 99% sure those ending in AH and later are 240 capable with a plug adapter. Not sure about AJ but I'd guess they are 240V. Also found this handy video. I remember seeing somewhere about the warranty replacement units and who made them but I can't seem to find it now. Can anyone point me in the right direction? Thanks.